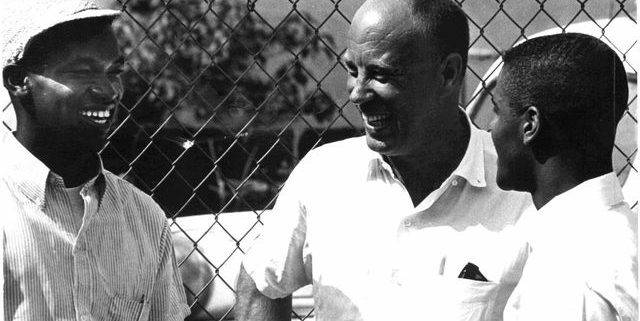 UCLAUCLA economist Paul Bullock collaborated with activists in L.A.’s African-American community on a study of unemployment published on the eve of the 1965 Watts riots. Through the decades, government, industry and labor unions have dominated the discourse over the creation and retention of good jobs that pay a living wage. Yet, many may not realize how higher education institutions have shaped the conversation about work nationwide. Earlier this year, representatives from all these sectors joined UCLA faculty and staff to celebrate the important role that the university has played for more than 70 years on workers’ behalf through its Institute for Research on Labor and Employment, a multidisciplinary research center based at UCLA. The institute was created in 1945 by the California Legislature, but its roots go back to the turbulent years of the Great Depression when Los Angeles workers mounted a series of high-profile strikes. UCLA economics professor Paul Dodd was one of a group of social scientists who worked as a mediator hired by workers and employers to help settle conflicts. He also carried out pioneering research on health insurance and on labor relations in the film industry. Economics professor Paul Dodd was instrumental in starting the UCLA Institute for Research on Labor and Employment. 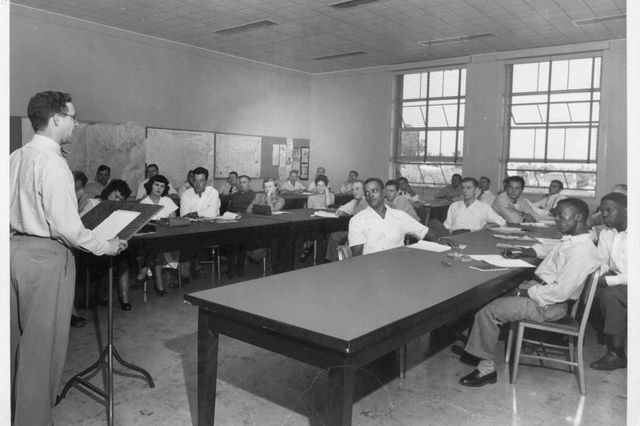 The institute began offering classes to managers, government workers, students and citizens on such topics as “History and Problems of the Labor Movement” and “Economics of Consumption.” It also provided training in political action, group discussion techniques and public relations strategies. 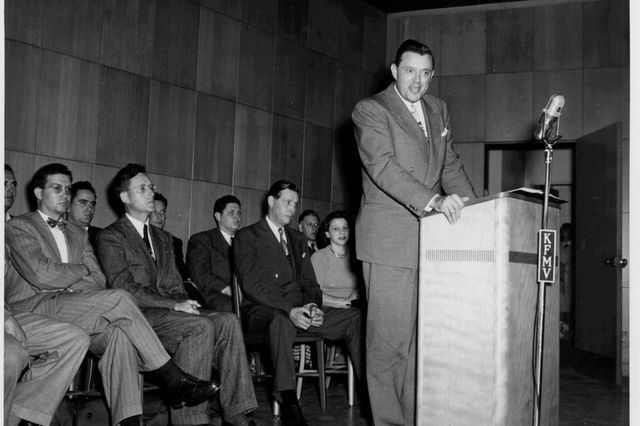 The courses quickly became popular with both corporations and unions, including the North American Aircraft Corporation, Lockheed Aircraft, United Auto Workers and the Steelworkers Union, which all requested in-house trainings. However, the institute’s primary purpose was always to produce analytical research that could affect public policy and shape public opinion, institute staff members said. Faculty and researchers associated with the institute published a steady stream of pioneering studies on topics such as workplace discrimination, quality of work life and labor history. Much of this research drew on the institute’s ties to workplaces and communities. 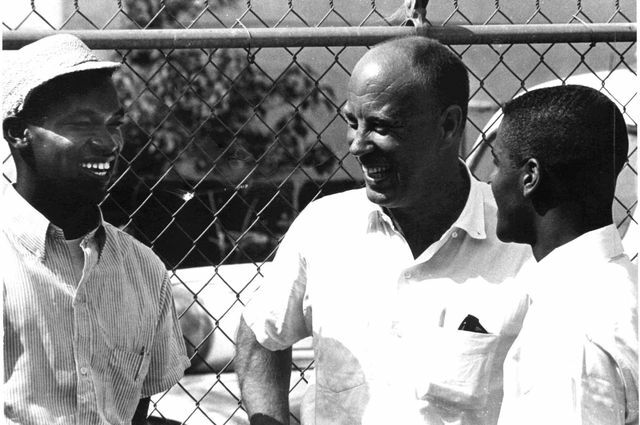 UCLA economist Paul Bullock, for example, collaborated with activists in L.A.’s African-American community on a study of unemployment published on the eve of the 1965 Watts riots. The New York Times called Bullock’s book, “Watts: the Aftermath — an Inside View of the Ghetto by the People of Watts,” the “fairest and most incisive report” of the 1965 riots in South Central Los Angeles. Steelworkers attend one of the courses offered by UCLA’s Institute for Research on Labor and Employment. The institute’s three units, which now carry out its mission, formed in the years that followed. The UCLA Labor Center got its start in the early 1960s as a partnership between the university and the California Federation of Labor. In 1978, the UCLA Labor Occupational Safety and Health program was launched after receiving its first grant from coalminer’s daughter Eula Bingham, head of the federal Occupational Safety and Health Administration. And the UCLA Human Resources Roundtable became an integral part of the institute’s vision to provide guidance and resources to management for the fair treatment of workers. Through the decades that followed, the institute has remained at the forefront of improving workers’ lives through its influential research and programs. During the time of the successful Justice for Janitors campaign that transformed labor organizing, the institute started summer leadership schools in which UCLA students and labor leaders learned about workplace challenges and strategized solutions. The archives documenting this historic campaign now live on in UCLA Library Special Collections, a destination for visiting janitors and their children who want to learn about their legacy. The UCLA Labor Center’s landmark research on wage theft led Los Angeles and the state to consider strengthening enforcement of basic labor laws regarding minimum wage and overtime while the state moved to raise its minimum wage. 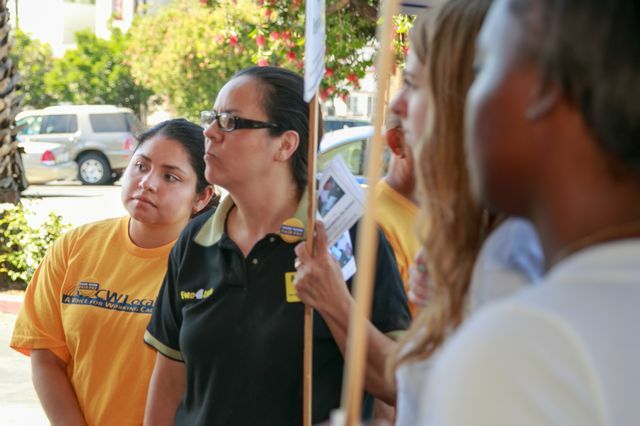 Liliana Leon (in yellow T-shirt), who graduated from UCLA in June, observes union leaders and workers at a protest organized by the United Food and Commercial Workers. UCLA Labor Occupational Safety and Health has been responsible for implementing federal disaster and infectious disease prevention programs statewide. They have trained thousands of workers on health and safety measures that sometimes make the difference between life and death. And every year, through labor studies courses, hundreds of students are placed into internships with social justice and government organizations. Impacted by these experiences, many of these students go on to dedicate their lives to public service. From the 1930s to the present, the Institute for Research on Labor and Employment’s research, partnerships and coursework reveal UCLA’s long and storied effort to improve workers’ lives. Learn more about the Institute for Research on Labor and Employment, which this year celebrates more than 70 years of research, teaching and service.